Don't Let Your Temperatures Rise www.rogerscorp.com/acs Don't let your temperatures rise. Use Rogers' thermal management solutions. USA - AZ, tel. +1 480-961-1382 EUROPE - BELGIUM, tel. +32 9 235 3611 Let ROGERS' Thermal Management Solutions Keep You Cool COOLSPAN® TECA Film • 92ML™ StaCool™ Laminates • ML Series™ Laminates & Prepregs Keep You Cool COOLSPAN® TECA Film • 92ML™ StaCool™ Laminates • ML Series™ Laminates & Prepregs Heat can be damaging, especially when it is not managed. That's why Rogers Corporation invested so much time and energy into creating an array of material-based thermal management solutions to keep heat rise to a minimum in printed circuits. From automotive circuits to LED modules to power supplies, ML Series laminates and prepregs e ectively conduct heat away from the source, while COOLSPAN thermally & electrically conductive adhesive (TECA) materials enhance the thermal management of new and existing designs. And for that extra cooling edge, 92ML StaCool laminates feature a thermally conductive metal bottom plate to enhance the heat dissipation. Don't let your temperatures rise. 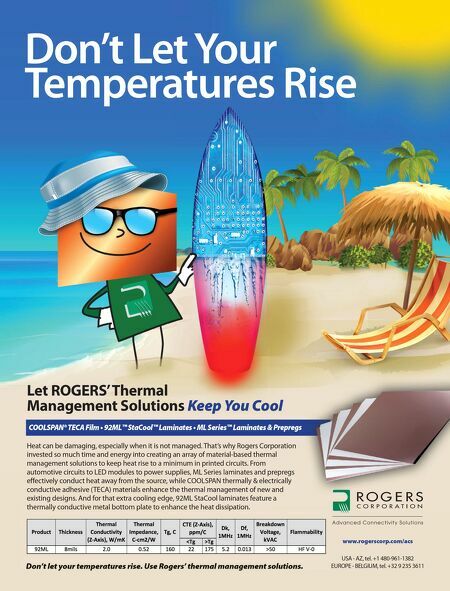 Use Rogers' thermal management solutions. thermally conductive metal bottom plate to enhance the heat dissipation. 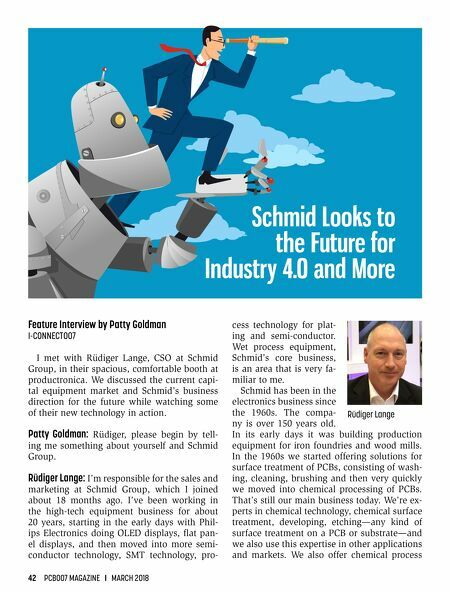 Feature Column — What's New?